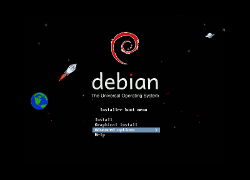 One of the great benefits of the Debian Installer is the ability to boot an ISO image, set up networking and complete an installation remotely via SSH (Secure Shell). 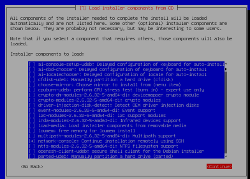 You can use the following steps to get the installer launched. 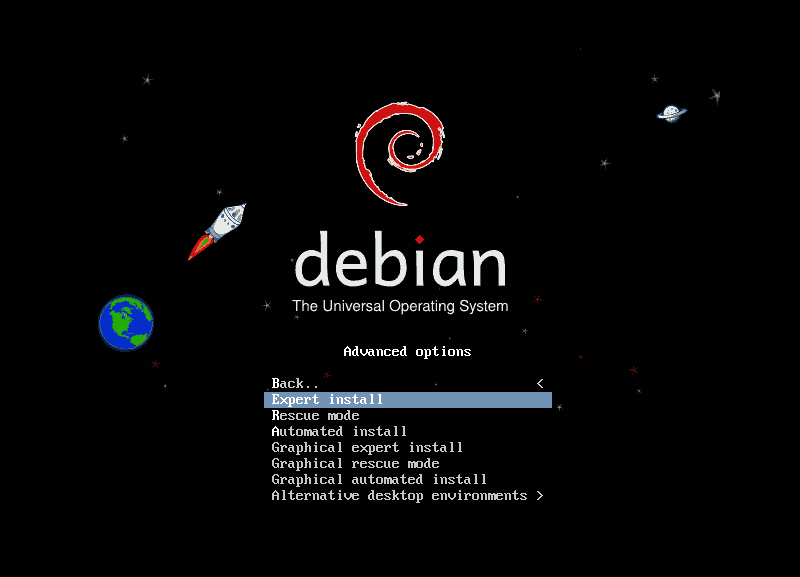 The installer will load up and you will be presented with the Debian installer main menu. 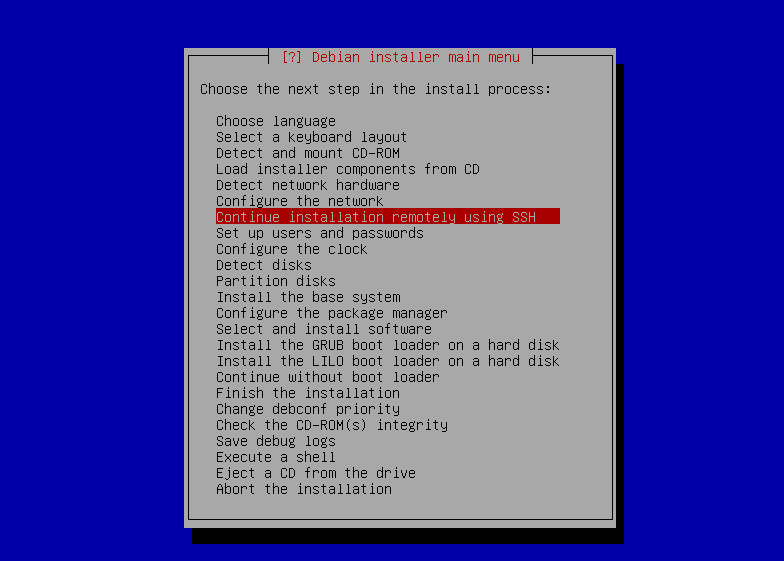 If necessary set the default language and keyboard (you can reconfigure them later once you get this going over SSH if needed), and then select “Detect and mount CD-ROM”. 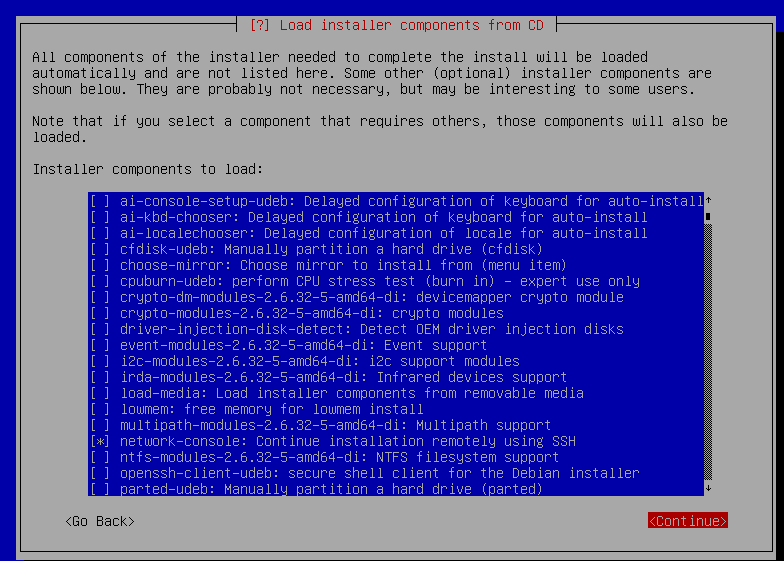 It then prompts you to load modules from USB storage, if you have drivers to load from USB you’ll want to accept. 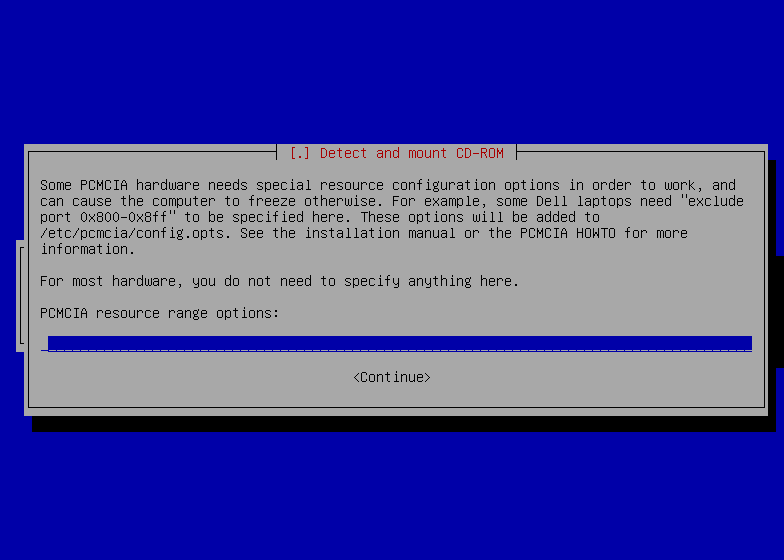 It then asks about PCMCIA resource range options, since our hardware didn’t require this we left it blank. 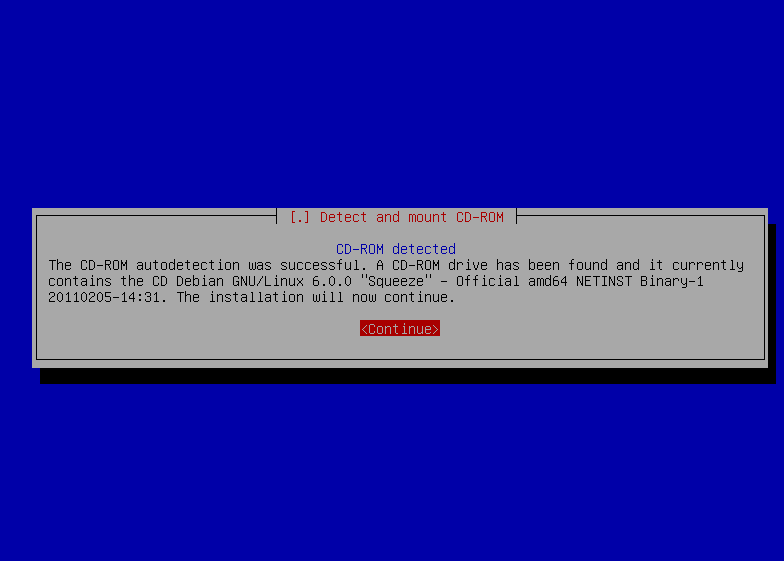 Finally, if all goes well, you receive a confirmation screen saying that the CD-ROM detection was successful and that it contained the expected installation media. Now you’ll need to get networking going. Select “Detect network hardware” and then “Configure the network”. 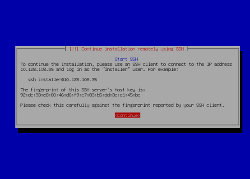 In this step, in addition to basic networking, it will ask you to set a hostname and domain name. 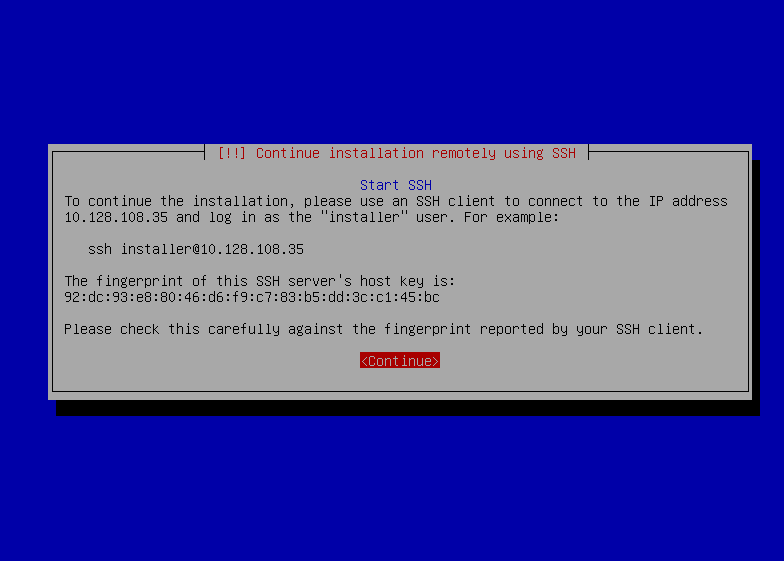 Next you want to “Continue installation remotely using SSH” which will generate SSH host keys and have you set a remote installation password. 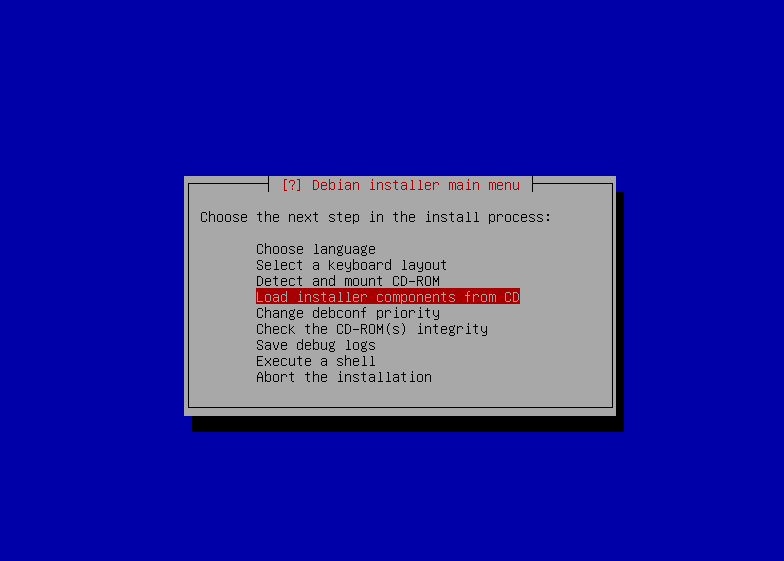 Once it has these set up you will be presented with a screen giving you an installer@ipaddress location for the install and an SSH fingerprint. You or your remote technician will use these to SSH into the installer. 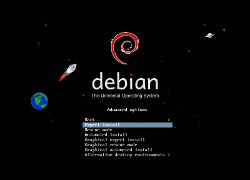 Finally, log in from your remote PC and complete the installation. Note: It’s important to keep a solid connection established during the installation as the installer can behave poorly if you lose your connection and have to connect again. Also, try to avoid resizing the window while doing the install as redraws of the window to the new size can sometimes cause problems. This entry was posted by Elizabeth Krumbach	on Wednesday, March 23rd, 2011 at 12:07 PM	and is filed under News. You can follow any responses to this entry through the RSS 2.0 feed. You can skip to the end and leave a response. Yes, you do have to have some access to the machine to use this method, but the first three steps can easily be given to a datacenter tech or someone who is on site. I agree with Elizabeth. There are many time you want to do an install, but you really do not want to be in the machine room because of noise or a generally uncomfotable environment. If you really need to prestage, You could always send a an ISO that is setup with preseed. 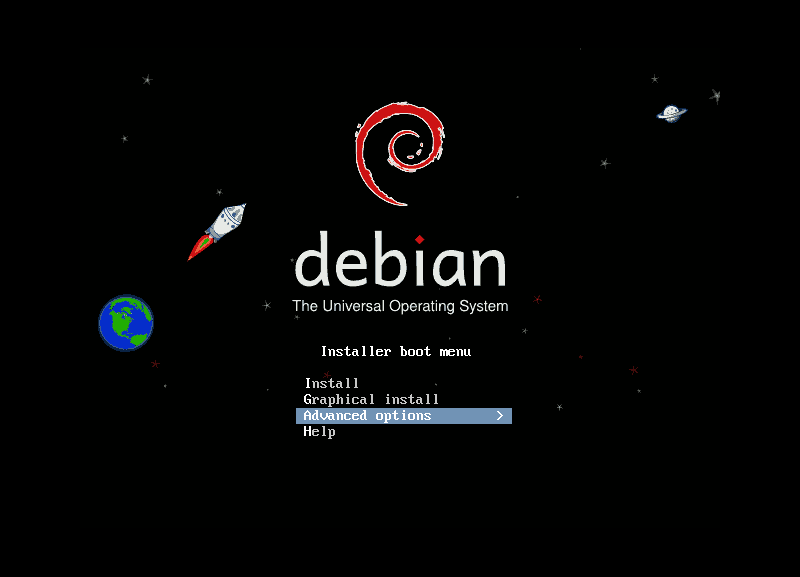 It’s still pants, under RHEL you can tell it to start SSH automatically or even VNC server so you can do a remote install. 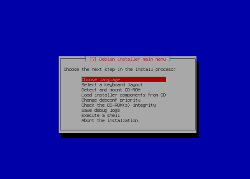 All you need is to PXE boot the server which you can control via IPMI. 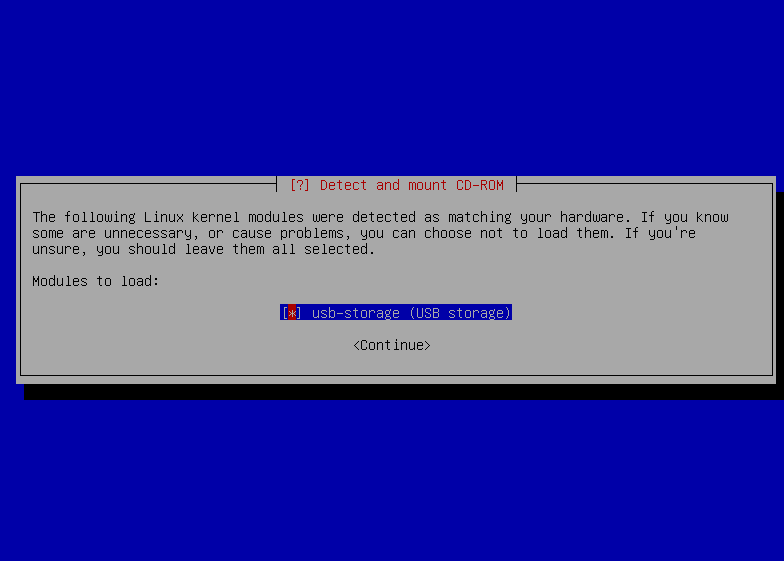 It’s possible to enable ssh automatically via kernel arguments which are parsed by d-i or preseed (analogous to kickstart) the entire installation away.